New IT Trends Impact the Network - To be successful, modern businesses must be extremely agile and IT plays an ever-increasing role in enabling that nimbleness. Enterprise Strategy Group (ESG) sees a number of IT trends closely aligned with business agility that impact everything from data center assets to remote workers. These trends will have an especially profound impact on corporate networks. 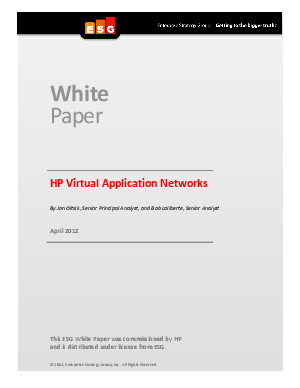 In this whitepaper, learn more about these trends and how HP solutions and services can help enterprises build scalable, agile and secure networks to streamline operations.